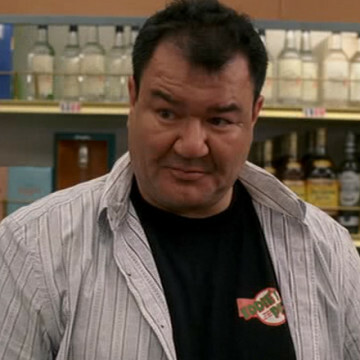 Canadian actor Patrick Gallagher takes on the role of Randy, a West Hollywood liquor store manager, in the seventh episode of Entourage’s seventh season. His character is introduced five minutes in and convinces Turtle to provide him with a limited exclusive on the new Avion tequila he’s been hired to promote. Gallagher also portrays Attila the Hun in 2006’s Night at the Museum and Jesse in four episodes of Men of a Certain Age.